Talent pays off eventually. Despite months of battle with the law, this famed outlaw Chief Keef has his place in the music industry, a prominent one. Chief Keef is an American rapper and record producer. Keef first became popular among high school audiences from Chicago's South Side in the early 2010s. Keep has released numerous mixtapes and albums. This legendary rapper based in Chicago was born by the name Keith Cozart. Keef faced ongoing legal issues during his career, including house arrest sentences, unauthorized weapon possession and a performance ban imposed by the local authorities of Chicago. Well, let's discuss it all including his net worth, career, and awards. Chief Keef's deal with Interscope was worth $600 thousand over a three album layout. With such hefty deals and incomes from his album sales, Keef has accumulated a net worth of $2 million, as of 2018. The American rapper also earns well from shows; he takes $40,000 - $85,000 per show. It is estimated that his earning per song is $100,000, which are all part of his current net worth. Chief Keef was a popular high school rapper. His popular street single, I Don't Like, was remixed by rapper Kanye West, which reached the Billboard Top 10, further lifting Keef's music career. In the summer of 2012, Keef was the subject of a bidding war between major labels, resulting in Keef's deal with Interscope. In December 2012, Keef released his debut album, Finally Rich, featuring 50 Cent, Young Jeezy, Wiz Khalifa, Rick Ross, and Lil Resse, with Interscope. Finally Rich includes hit singles like I Don't Like and Love Sosa. In May 2015, Keef signed with FilOn Music. In January 2017, Keef released a mixtape, Two Zero One Seven, which consisted of 17 tracks. In December 2017, Keef released four mixtapes. Despite all of his legal troubles, Keef has managed to earn millions as a rapper. Coming years should record high on his wealth. On January 27, 2011, Chief Keef was held captive on the charges of heroin manufacture and distribution for which he served time on house arrest. Keef was placed under house arrest for 30 days at his grandmother's house, which then followed by a month of additional home confinement. Then again in December 2011, the American rapper was arrested for unlawful use of a weapon. Chief Keef was arrested for firing gunshots in Washington Park, Chicago. 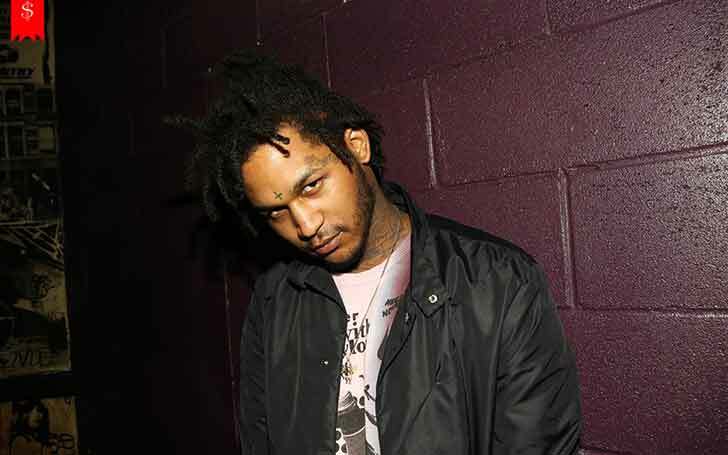 Keef was investigated for his possible involvement in the shooting of another fellow rapper by the name Joseph Coleman. The situation came after Chief Keef smoked Joseph's death on Twitter, which was later found to be the result of Keef's account being hacked. On January 17, 2013, Keef was sued for $75 thousand by Washington, D.C. based promotion company, Team Major, for not showing up in a show. According to Team Major, Keef was supposed to perform at the IndigO2 Arean in London, on December 29, 2012. Keef avoided the lawsuit and the court had Keef paying $230,019 to Team Major. Keef faced two months in jail from January 17, 2013, to March 14, 2013. On May 20, 2013, Keef was arrested at a hotel in DeKalb County, Georgia, for alleged possession of marijuana. On May 28, 2013, Keef was again arrested for over speeding in his hometown Chicago. Keef was pleaded guilty to speeding and was ordered to pay a fine of $531, and 18 months of probation, complete 60 hours of community service and several drug tests. On October 15, 2013, Chief Keef was imprisoned for 20 days due to a positive marijuana test. On February 4, 2014, Kim Productions filed suit against the American rapper to cover losses which they incurred after Keef missed his performance at a RapCure benefit concert in Cleveland, Ohio in June 2013. In spite of his image as an outlaw, Keef has his good side in the music industry. Keef has millions of fans who love his music. His popularity can be attributed to his net worth, as well. Julie Roginsky has a son but who is her husband? Has she never been married? Or did she divorce?